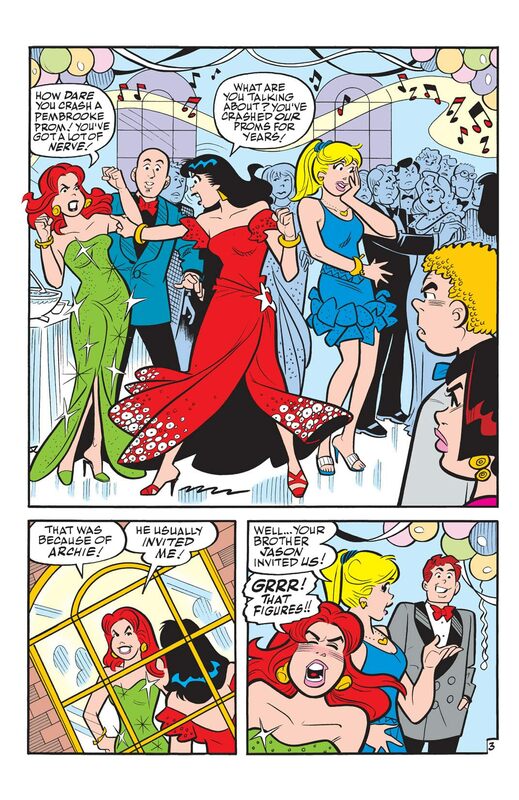 Picking up from last month's Veronica #194, the prom crashing continues! 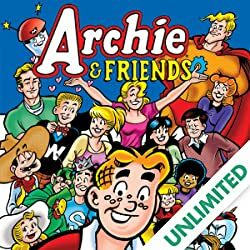 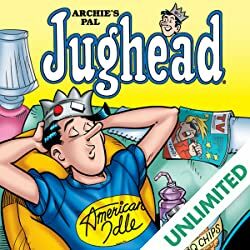 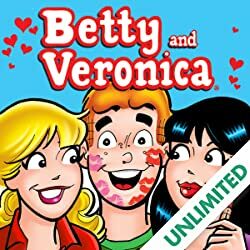 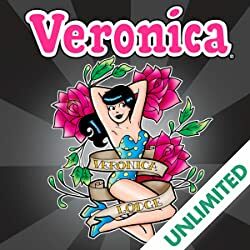 A constant source of drama and mayhem, the school prom has long sent the eternal love triangle of Veronica, Archie and Betty to the brink. 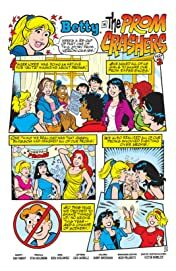 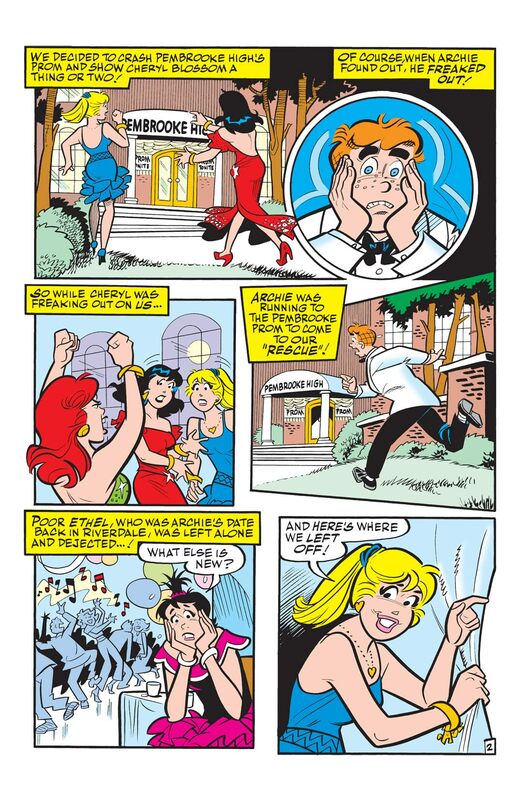 Now, Betty and Veronica form an alliance to face the source of much of their past prom grief: Cheryl Blossom! 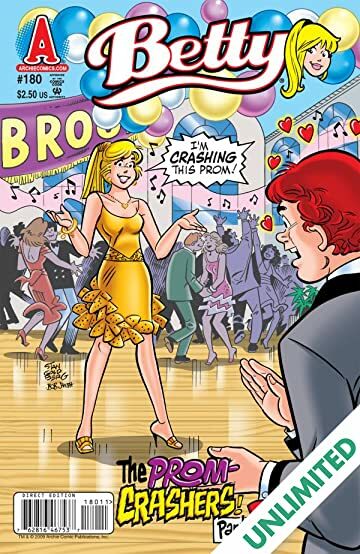 They've crashed Pembrooke's prom, and Archie has followed along for damage control - but what if the girls don't want Archie to save them? Do they have designs on Cheryl's date and the other eligible Pembrooke pals? 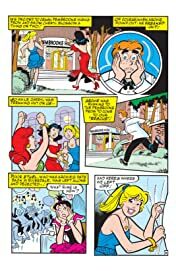 Will Archie take his chances with a Pembrooke gal? 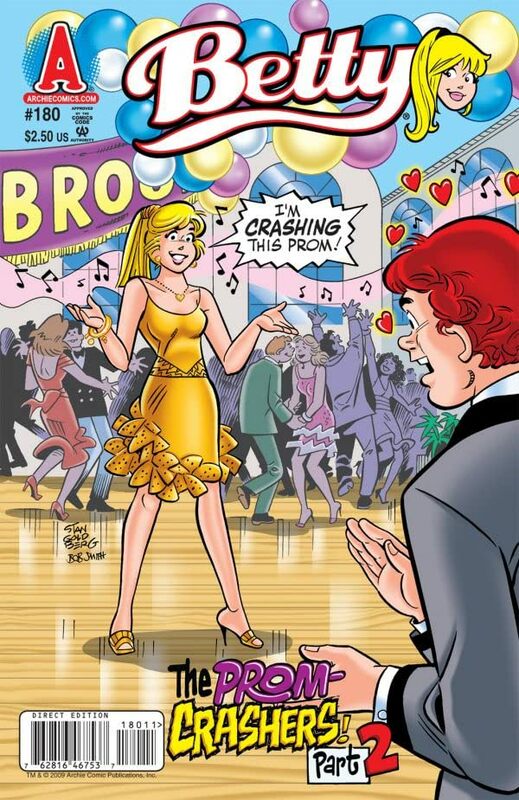 And what's happening back at Riverdale's own prom? 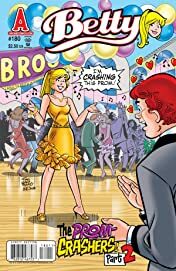 Grab your tux, gown, cummerbund and corsage and join the fun!